Eastside Village is a plan whose time has come. Eastside Village is a community, not a place. It describes itself as a group of like-minded people who live in the same geographic area and who have developed resources to help the community age in place. According to a recent survey by the American College of Financial Services, more and more people want to age in place. Eastside Village, and other Villages like it, are providing the community and the services that help make aging in place possible. I recently met with Cary Hixon, who sits on the board of directors for Eastside Village PDX. I immediately felt her warmth and her enthusiasm for this new community. I wanted to join the community and be part of it. She spoke of people making new friends, community members making lasting connections, and community members volunteering their time to assist other members. She spoke of a community that not only supported each other emotionally, but also in a more practical sense through its services. I left our meeting feeling some of that same enthusiasm for this village and others like it, believing that these communities are a wonderful and comprehensive plan for aging in place. Eastside Village exists to help older adults and people with disabilities live at home safely as long as they choose. To accomplish this goal, the village manages a network of volunteer and vendor-provided services to help the members within the community. Volunteer services range from pet watching, running errands, grocery shopping and transportation to medical appointments. The village also maintains a list of vetted vendors to provide other services, such as home maintenance and yard care. Many of the community’s volunteers are members of the community themselves. I think this practice is brilliant. I can think of no better way to sustain and enrich the community than having its members give back to it. You can also volunteer at the village without being a member. Cary reports the village always needs volunteer drivers. Because drivers are thoroughly vetted and trained and must have safe cars, not all volunteers want to take the time to complete this process. Eastside Village PDX is not the first Village in the country, but it is the first active Village in Portland. The Village Concept started in Boston in the Beacon Hill neighborhood. A group of people in the neighborhood realized they lacked the appropriate resources for aging in place. After a group of graduate students studied the problem and came up with the general idea, the Village in Beacon Hill was born. This first Village inspired a movement across the country to create Villages in other neighborhoods and communities. Villages are non-profit entities, but each of the approximately 150 Villages around the country work a little differently. Eastside Village is a volunteer first organization. It has no paid staff. The Eastside Village is, however, part of Villages NW, which is a 503(c)(3). Villages NW acts as a type of “hub” for a network of community-based “spoke” Villages in development in the Portland metro area. Eastside Village is the first Village in this network to launch. As the hub, Villages NW provides administrative services and applies for grant funding to support the community Villages. Villages NW is in one way at the center of a Pacific NW movement to create and support a network of Villages. 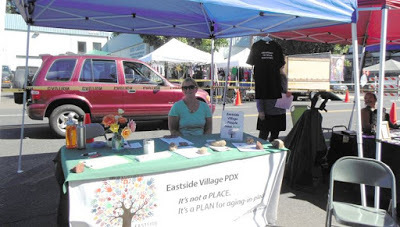 Eastside Village PDX is a grass-roots movement. The Village polls its members to find out what services and social activities they want. For example, perhaps a new member would like a group of people to play cards with. Then, the Village would help that member get a card game night on the social calendar. Cary reports that a book club, knitting group and movie group started in just this way. 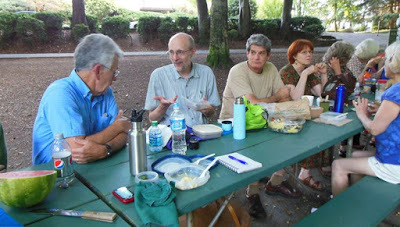 The Village also hosts a monthly social gathering at Tabor Space, which is the activity with the largest attendance. Perhaps the social activities are one of the best services the Village provides. The Village prevents social isolation. Eastside Village PDX does have a few membership requirements. You must live within the geographical boundaries of the Village. Essentially, this area is SE Portland from the Willamette River to I-205, and from I-84 to the southern city limits. You can be a homeowner, renter or someone living in congregate housing. Eastside Village PDX has two types of membership. There is the social membership, which is open to anyone living within the boundary and is at least 18 years old. 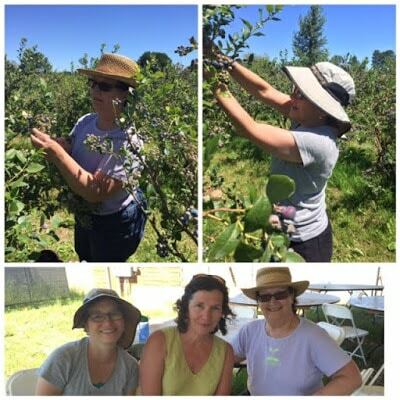 Social members may attend the social and educational events and request up to 3 volunteer services a year. There is also a full membership available to any older adult person or adult with a chronic illness or disability. Full members also receive “one call does it all” assistance for free services from volunteers or services from vetted vendors, for which the member pays. 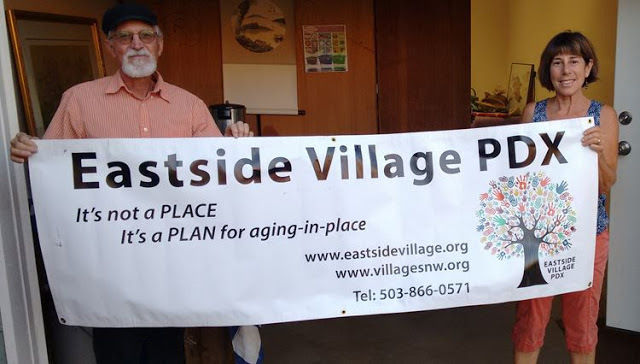 Eastside Village PDX is a community and movement that is growing. The village just launched in November 2015 with around 20 members, but already has 60 active members! When neighbors and friends hear and learn about the Village, they want to join or know someone who would benefit from membership. The concept is appealing, and it works I think. What better way to feel secure in your home than to be part of a community that is there to help? The Village is great way to get the help you need while building the social connections that help you thrive and enrich your life. The Village is a community-based solution and network that strengthens the community for all of us who live there, whether we need or want the services. I hope the movement grows and that Eastside Village and others like it thrive. I think they will.